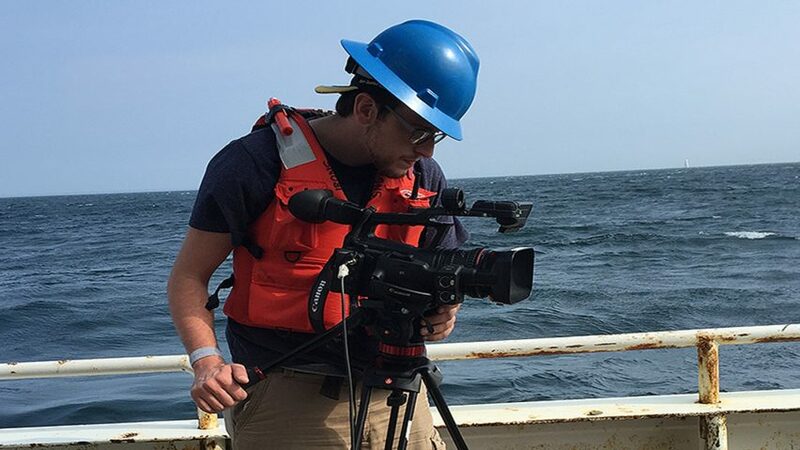 Inner Space Center Videographer, Kyle Sidlik filming aboard the R/V Endeavor. At this time there is no live video. Live video and assets will be available when the cruise starts in August 2018.